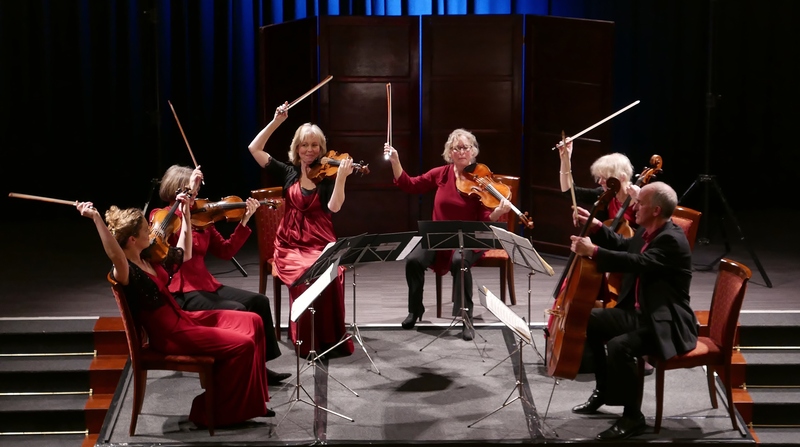 London Mozart Players return to the Shropshire hills! Mozart demonstrated time and again that music as entertainment can go along with the most original, enlightening, even profound ideas. Divertimento in D K.136 belongs firmly in the Austrian divertimento tradition – music that entertains through a lively interplay of ideas, melodic distinctiveness and an element of instrumental virtuosity. Verklärte Nacht (‘Transfigured Night’) is based on a poem by Richard Dehmel. Two lovers are walking in the moonlight; she confesses that she is pregnant by another man, but so great is his love for her that he agrees to bring the child up as his own. Schoenberg’s work closely follows the poem – the couple’s hesitant steps through the wood, her confession, his declaration of selfless devotion. Souvenir de Florence is not a tonal picture of the city or country. Rather, its name derives from one melody, the main theme of the slow movement which Tchaikovsky had heard and noted down during a visit to Florence in 1887. In all other respects the musical idiom is Russian rather than Italian, in particular in the third movement with its Russian dance theme, and the opening music of the lively finale.